It’s that time of year again – which serves to remind me of how little I have actually accomplished (more on that later) – and if you’re tired of the usual holiday entertainment fare (after all, how many times can we watch It’s A Wonderful Life – bad example – forever) then be sure to add our Ruffus Christmas Carol to your list of favourites. You can find out more about how the show was put together from this old blog post AND you can visit The Official Website and actually buy it on DVD with all sorts of cool extra features. In the meantime, make some popcorn, sit back and watch it right here. Enjoy the show. P.S. And, in case you’re interested in such things, here’s the promo video we made to raise money for the show on IndieGoGo. It was kind of a weird undertaking since I played all the characters but it also has a disco ball and a Delorean in it so that makes it kind of cool too. 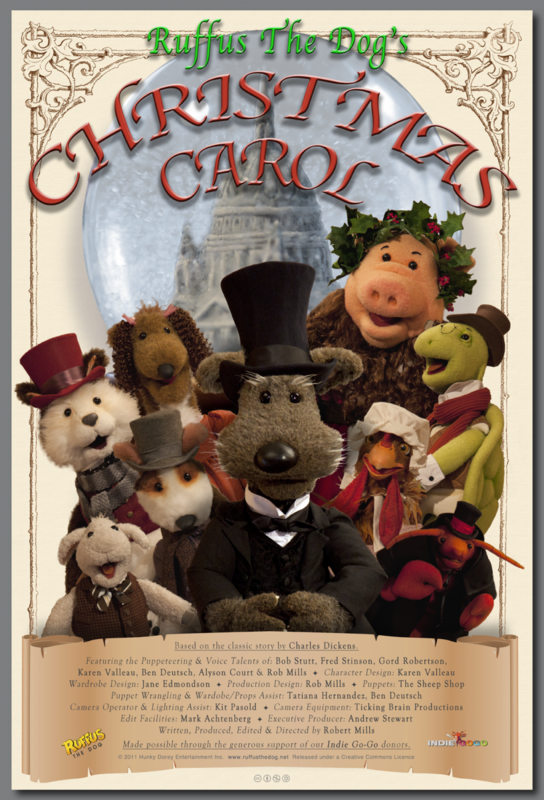 December 18, 2013 | Filed under Blog, Video and tagged with charles dickens, christmas carol, happy holidays, ruffus, ruffus the dog, scrooge, xmas.